From A Collection of Our Treasured Family Recipes, this salad recipe makes a great addition to any meal. Toss muffin cubes with dressing and 2 tablespoons Parmesan cheese. Place on ungreased cookie sheet. Bake at 400° for 8 to 10 minutes, stirring occasionally. 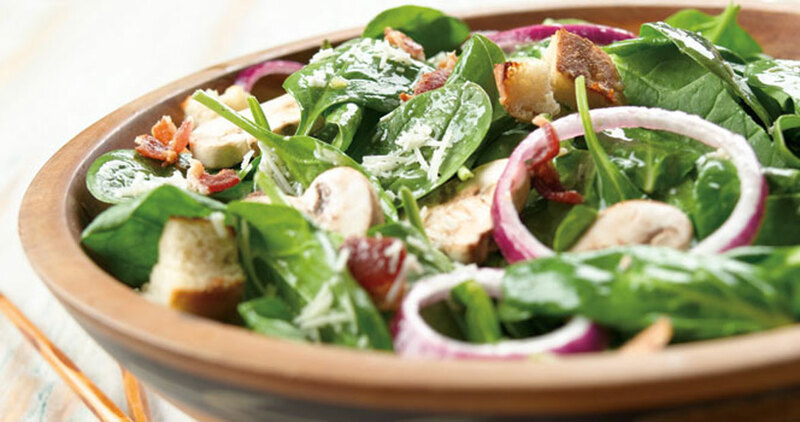 Combine spinach, onions, mushrooms, and bacon. Add dressing, remaining cheese, and croutons. Toss together.